In case you missed it, we had this up yesterday. 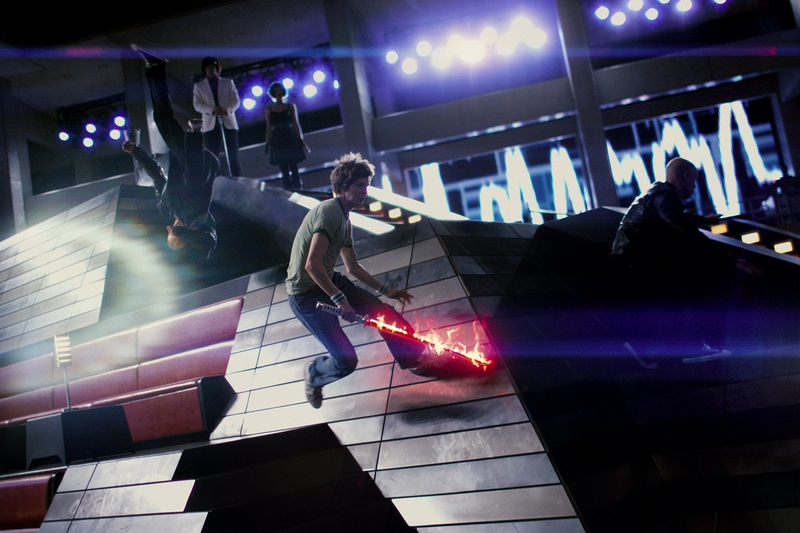 It’s the first official photograph from Scott Pilgrim vs. The World and in our humble opinion it’s got to be one of the best ‘first official photographs’ of all time. It has a big fiery sword, some mad trippy lens flares, Super-Mario-style architecture and the obligatory ‘Cool Parkour Chaps’. Basically, it’s everything that the first official photograph from Harry Potter 7 wasn’t. It really is amazing that after a year’s worth of photo blogging and video diaries, Edgar Wright & Co. can still release an image as game-changing as this.